This colorful Francophile Scene tank lets you take a little French flair with you wherever you go. 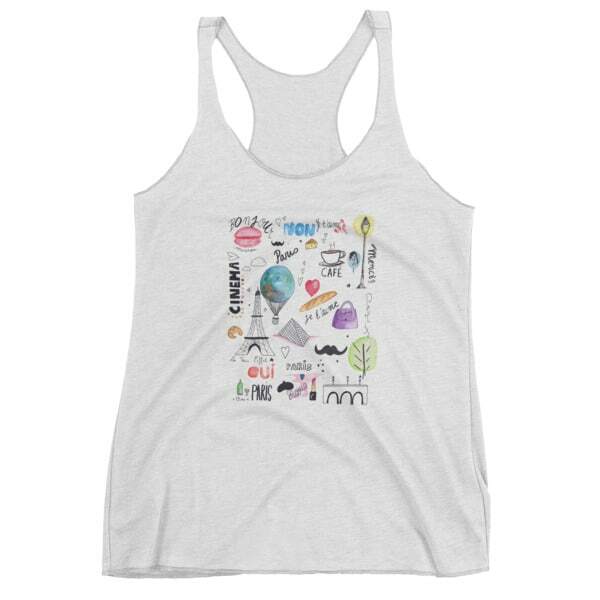 From a macaron and baguette to the Eiffel Tower and more, this fun tank has it all! This tank is a nice, thin material (about 1 step up from sheer) and is perfect over a sports bra at the gym or even with a fun bralette underneath. It is true to size (fitted and not boxy though) and is long enough that your stomach won’t show if you reach overhead.